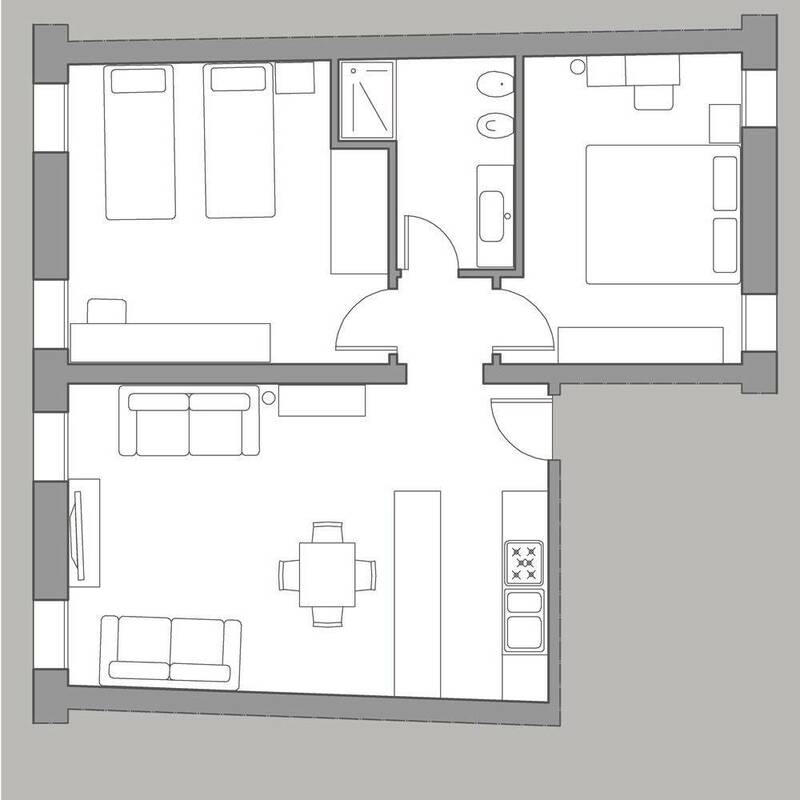 The building is composed of 3 identical independent apartments on 3 levels, therefore sharing the same main entrance door and laundry room at the ground floor. 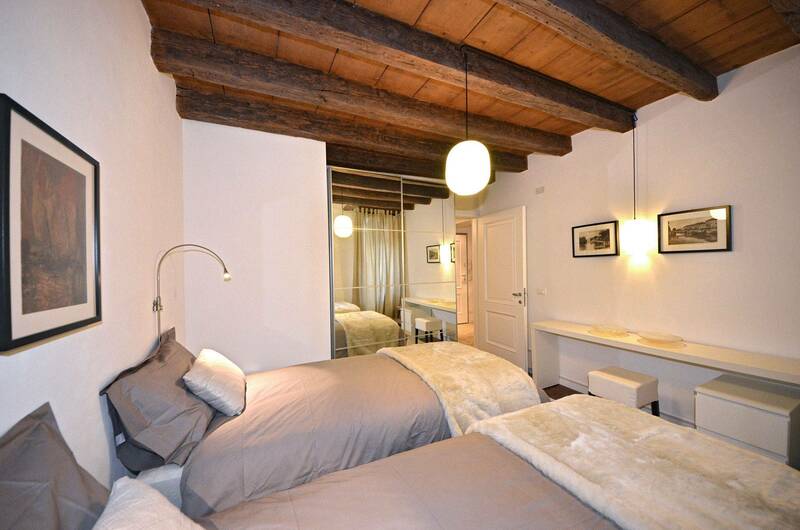 The location is excellent: only 20 meters from the Grand Canal, precisely along the renown "Riva del Vin" and its canal view restaurants. San Polo is a maze of quiet Calli (lanes) and pleasant Campi (Venetian squares). One of the most important places of this district is Campo San Polo, a wide square where local children and pets can run around and play games such as soccer while adults chat, and in summer there is also an open-air cinema. San Polo is known for its fine but reasonably priced "Osterie" and "Bacari" (informal traditional restaurants and bars) where you can find locals and connoisseurs. This district is in fact not touristy at all, exception made for the area of the Rialto Bridge, where the busy and colorful Rialto Market takes place every morning (Sundays excluded). The Sarpi apartment is composed of a nice living room with a fully equipped kitchen and a dining table for 4 people, a larger bedroom with 2 single beds that are comfortably used as double bed, a smaller bedroom with a 1,40 meters wide bed (French size bed) and a nice bathroom with large shower cabin. The apartment is perfect for 3 guests, but if one couple do not mind sharing the French-size-bed can be suitable for up to 4 guests, expecially for short stays. The house is versatile and fits everyone, affordable and comfortable. It offers great value for money. The Truly Venice representative was there to meet us at the water taxi as promised and had 2 sets of "temporary water boots" with her as the streets were flooded at the afternoon high tide, during the worst flooding that made international news on Oct 29. She actually carried some of the heavier luggage herself to keep it dry and it weighed more than she did. The apartment was immaculate and she took us through every detail as well as recommendations about places to eat locally and all over Venice. She had checked everything because the hair dryer wasn't working and she had already made arrangements to have a new one delivered the next morning and it arrived. I hadn't completely read the payment section and she made a plan because my debit card, for some reason, wasn't working at ATM machines, so i did not have an adequate amount. When I called to thank her, she was in the process of moving all her clients on the ground floor of rentals that were flooded, to different accommodations. All in all, I would definitely use Truly Venice again. Everything in my experience, in the face of the worst flooding in Venice ever, was just exceptional. and they provide many other services as well for transport, tours, etc. 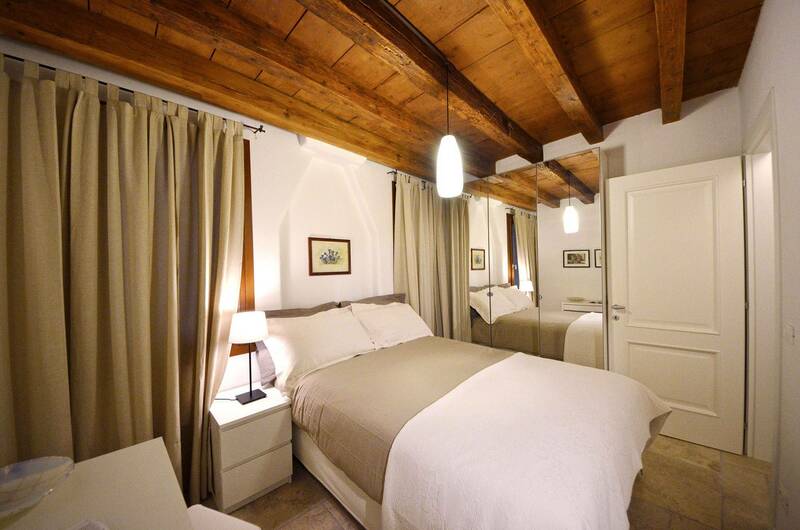 A complete package to make your stay in Venice very good whatever the circumstances. 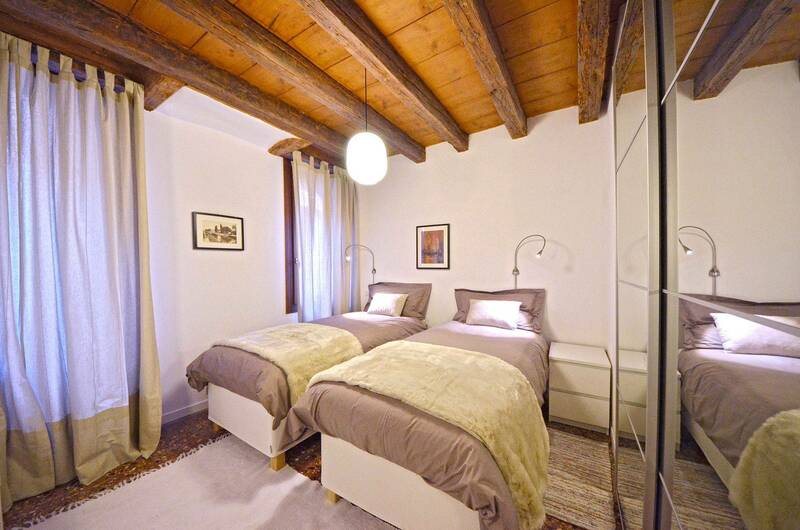 My sister and I enjoyed our 10 night stay in the Sarpi 1 apartment, We have been to Venice many times and always dreamed of having apartment where we could take advantage of the markets, cook for ourselves, and just live like locals. The location was perfect. The apartment clean, uncluttered, and equipped with most everything you need. We are already thinking about our next stay. Very close to the Rialto Bridge but it didn't feel like it because it was quite and private. Apartment was clean and exactly as advertised. Easy to get around and just minutes from many Vaporetto stops. Highly recommend. 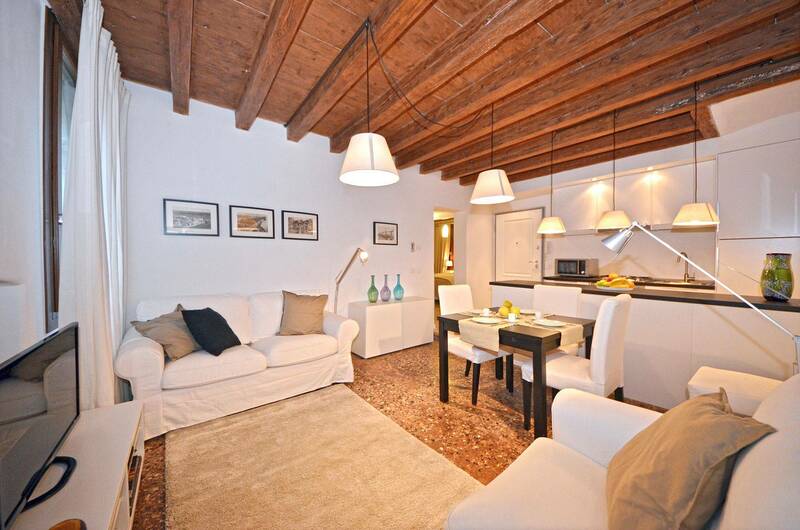 Very close to Grand Canal, Rialto Bridge, Rialto Mercato, supermarket and vaporetto stop. 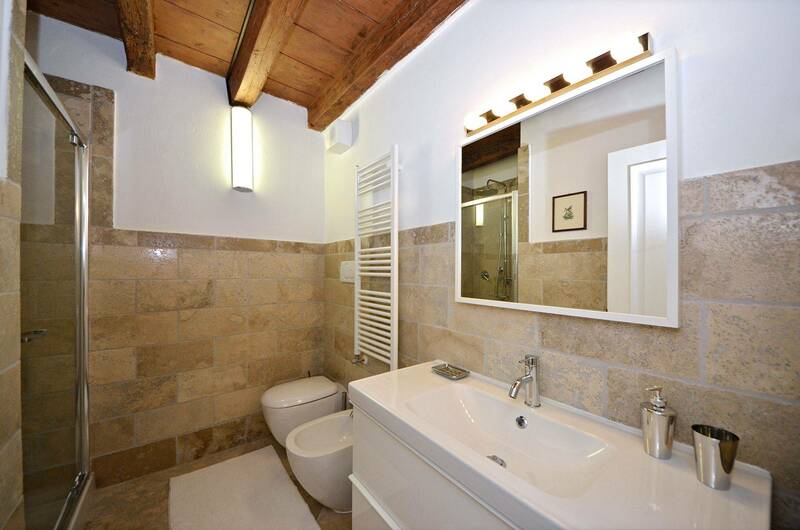 Nicely renovated, charming and well equipped apartment with lovely bathroom. Clean and warm. The only one thing we don't like was the view from one bedroom. 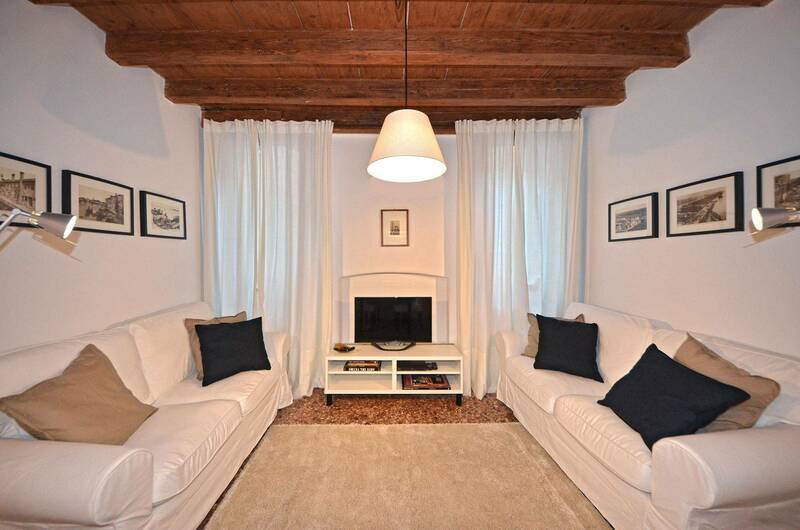 Sarpi 1 apartment is in a brilliant location, a few minutes walk from the Rialto Bridge and the Grand Canal. It is also within easy walking distance of several of the top sights, including St Mark's Square, the Doge's Palace, the Rialto Market, I Friari and the Scuola Grande di San Rocco. 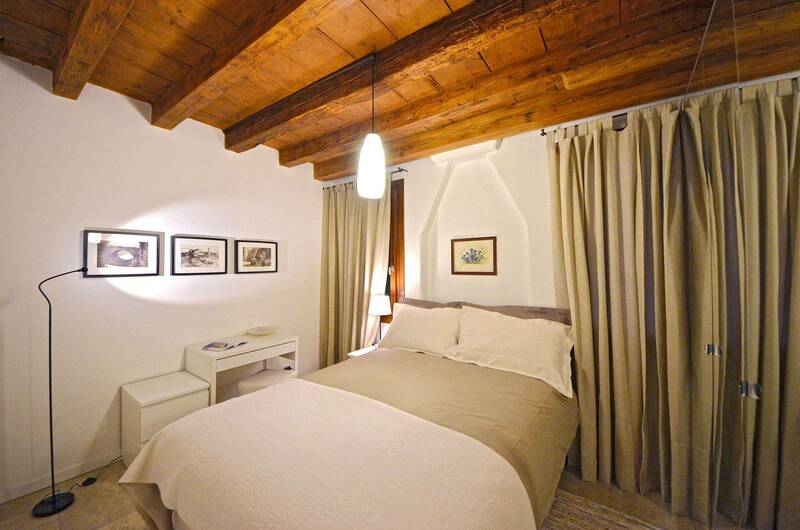 As far as the apartment itself is concerned, it is clean, well-equipped and comfortable, especially the beds! Our thanks to Lara, for pointing us in the direction of some wonderful restaurants! 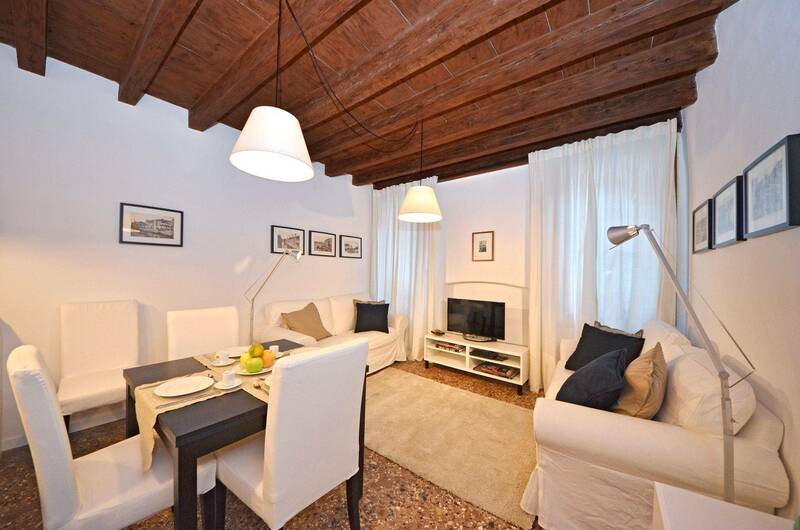 Perfect location in a quiet street but only a minute away from the Rialto Bridge and close to its amazing, colourful market. Some of the market sellers stored their fruit and vegetables in the buildings in the same street as the apartment and it was interesting watching them prepare for the market. The apartment is modern and clean with plenty of room for four people. Hannah, the representative who met us when we arrived was very welcoming and friendly and spent time marking some of the best places to eat on our map, including bakeries and gelato. I would highly recommend this apartment and hope to stay there again one day. Thank you for helping make our first trip to Venice so special. 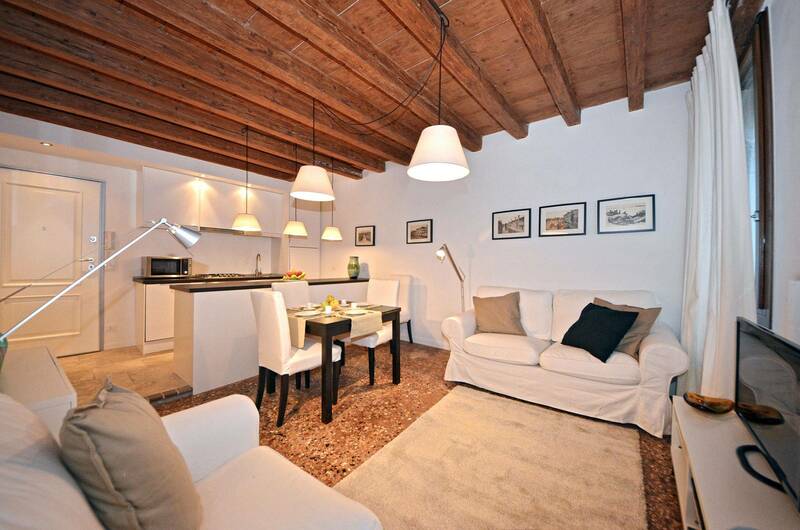 Located a very short distance from the Rialto Mercato very near to two Vaporetto stops. Charming flat perfect for four people. Well equipped and modern. Comfy beds and quiet, although we were alone in the building. Double glazing worked well although not a busy street. Bathroom a reasonable size and modern. 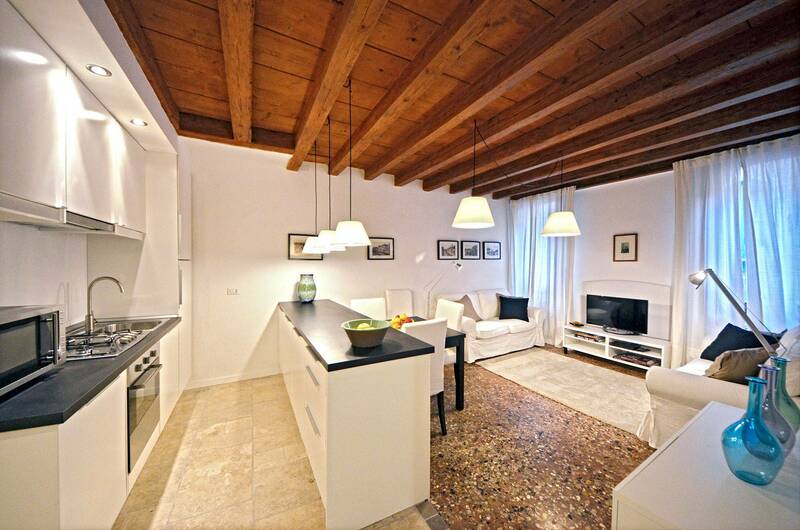 ...A very nicely renovated and appointed apartment in a typical venetian building. 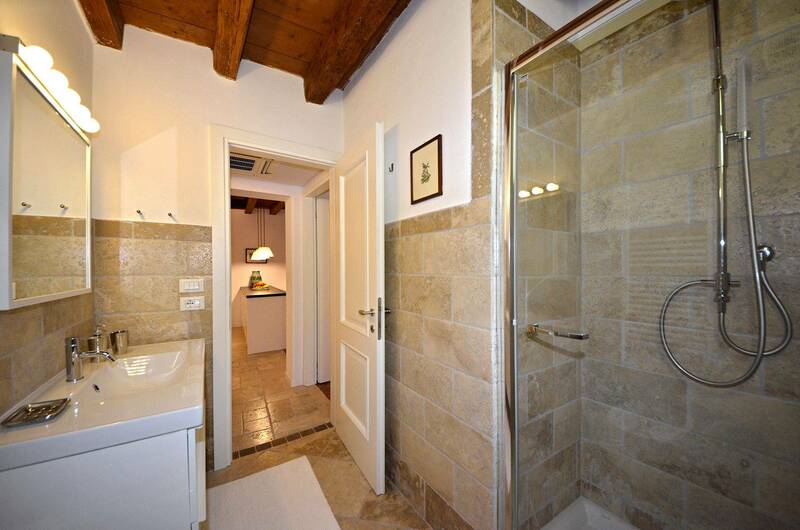 Very nice kitchen and lounge area, comfortable beds, a lovely stone bathroom. 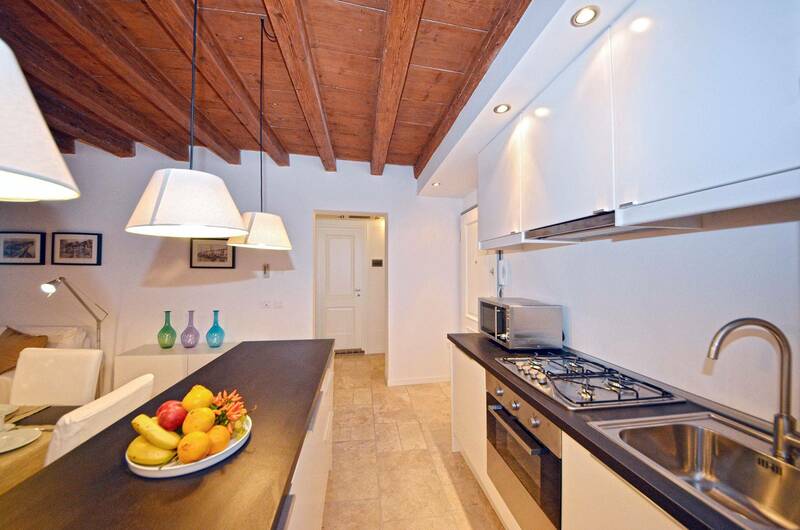 Close to the Rialto Bridge and Grand Canal and restaurants, a supermarket 2-3 mins walk and shops everywhere. Everything you need on the doorstep really.